Goodness what a steep learning curve that was! 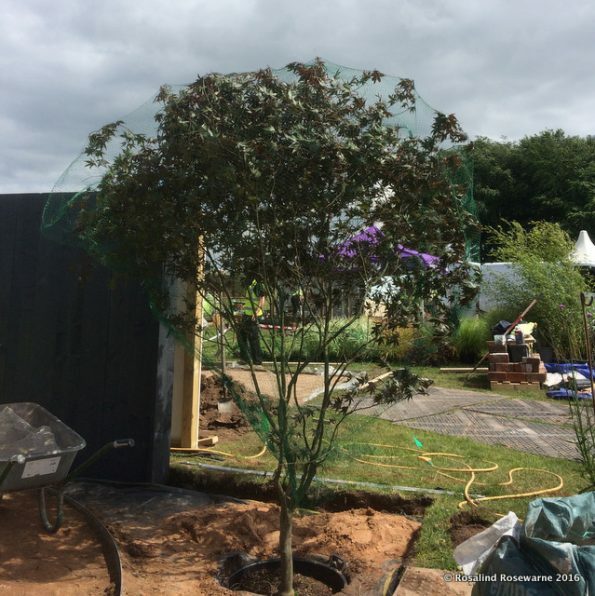 RHS Tatton 2016 is well and truly over and it was mostly madness and all consuming except for the one half day off I managed and even then I was plant hunting! I’m a planner, let’s be clear, I have spent two previous professional careers planning, organising and managing complex projects and day to day businesses. I love a list and even more I love being in control. Now that said let me say that the RHS admin, once waded through, gave me a sense of control and knowing what was coming and what my ‘job’ was within it all. Apart from being a creative powerhouse(!) and getting all my ducks in a row to even be in the position of presenting a show garden at all. Once we arrived on site that all seemed to flow merrily out of the window and it was ‘seat of the pants’ stuff every day, and often every moment of every day. I have excelled (professionally) at crisis management, it’s not something I would advocate long term, a tad too stressful and ageing… you have no idea… but I am flexible and agile when it comes to JFDI projects especially when it all starts going pear shaped. Imagine my surprise when we had not been onsite more than half a day when this lovely well planned project started showing signs of Pear. I’m not going to drag on about the what’s and when’s because undoubtedly there were good reasons and in the end most people don’t mean to let you down or disappoint you. The thing I discovered as the pear started emerging was that I was going to be surrounded by people who sliced and diced pears in their sleep. Not just me, super problem solver extraordinaire but lovely people who simply made problems go away if you asked them for advice, pointers, ideas…HELP. 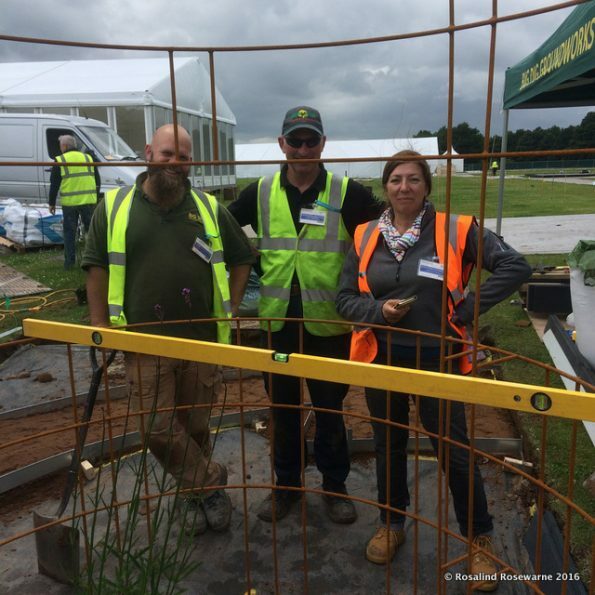 There is a team of seasoned RHS show gardeners who have seen it all before and in the main know you have a problem before you do. H&S was there to crack the whip but really to guide and offer support even to the point of bringing relevant forms for signature alongside that a good dose of humor. There was some confusion about arrival timings on day one, being a control freak sorta gal I was completely clear that we were not allowed on site until the induction was complete and that was at 10…ha ha ha. 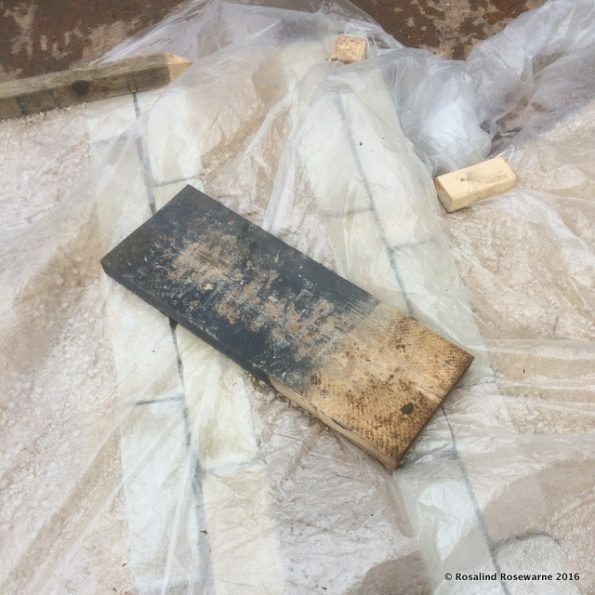 On arrival at the gate I was handed a small folded piece of paper with site rules and regs on one side and H&S info, on the other, the number of our plot was chalked onto the wing mirror and off I went onto site! It turned out that site had opened at 8am, induction was simply the piece of paper and I had fallen at my first hurdle. Very grounding! At this stage the show site was simply a ‘road’ of plastic track, not much to be seen. A marquee frame here and block of open ground there. 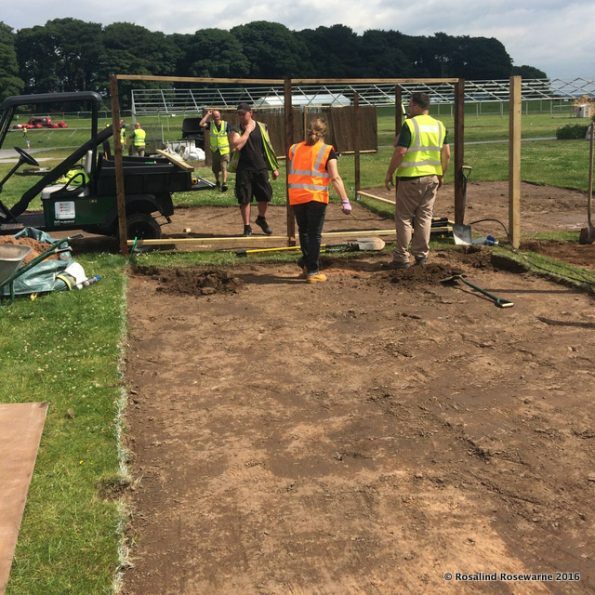 As the build week progressed the show emerged to enclose the tracks with exciting looking stalls, stands and of course gardens galore. My next hurdle was in ‘badge control’. We were allocated 6 for the build/take down duration along with vehicle passes for deliveries. At this point we hadn’t figured out delivery folk needed a badge as well as a vehicle pass, which meant some pretty fancy footwork when 4 deliveries arrived at once! I have to say this was probably the least stressful hour on site, once the contractor arrived it was all go and it quickly became apparent that not everyone saw things they way I did. 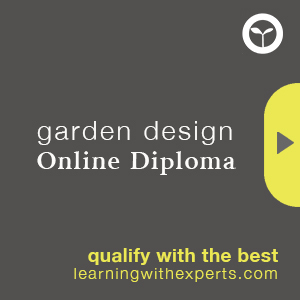 We had met the contractor only once before, he and we were new to show gardening. My Bad. When the plans and construction info went through I assumed everyone would be pouring over them to check up on me. Not so. Lesson learned: pre-meetings with the contractor are ESSENTIAL to discuss and agree build methods, plan strategy and who is buying/providing what and when things need to be available for the build. Keep having them until you’re certain you ALL know the program of works clearly and when you, the designer, needs to be on hand to make decisions. I do this as a matter of course in the day job building gardens and should have done it then. I won’t make the same mistake again. Sticking to you guns under pressure is tough but essential. Conciliatory cups of tea post ‘gun sticking’ is also useful. Lucky for us the deliveries arrived as planned, with appropriate unloading gear, at least on day one they did, not so much in week two but that’s another story. Our sponsored paving materials turned up on time, hurrah but alongside it a slew of extras not expected. It turned out that we were ‘sharing’ deliveries with another design team. We waited politely while they hand balled their delivery off, hauling it from our plot to theirs. Mid afternoon on day one was the first big disappointment. Our nursery left a voice message to say they had ‘sold’ us a tree, that had already been reserved by someone else, in fact someone else on the show site it later turned out. So now we had no tree. It was too late in the day to bring an emergency substitute up from my neck of the woods without incurring HUGE delivery costs. So in a moment of crisis I txt a local designer friend for names of local wholesale nurseries, by the end of the day I had a meeting at the lovely Ladybrook Nurseries, some 40 mins away, to find THE tree. Day one was eventful. It was also filled with a lot of hard graft from the multi-talented contractor. By the end of the day 4 we had the bones of the garden, hard landscape almost done, boundary up, water feature in, arbour in, edging moulded into shape, tree in and paving sets expertly laid. Late on day 4 morning our self binding gravel turned out to be too too too much on the gold spectrum instead of buff to match the elegant Cathedral Sett pavers. After some frantic phone calls and a very stressful few hours our amazing stone sponsor confirmed they would replace it with the perfect buff colour, though impossible to do for 3 days (weekend logistics and all). One of the things I looked forward to from this experience was making new friends. I’ve done a few things like this in my life, situations where strangers come together in stressful and challenging situations and relying on one another, friends are made, fast and firm. Tatton in the end was no different and we met some really lovely supportive folk, who helped out with knowledge, experience, materials, plants, wise words and calming cups of tea, good humor and sharing resources. We were lucky to be neighboured by two veteran show gardeners Clive Scott and James Comiskey (About Your Garden). We honestly couldn’t have done it without them. 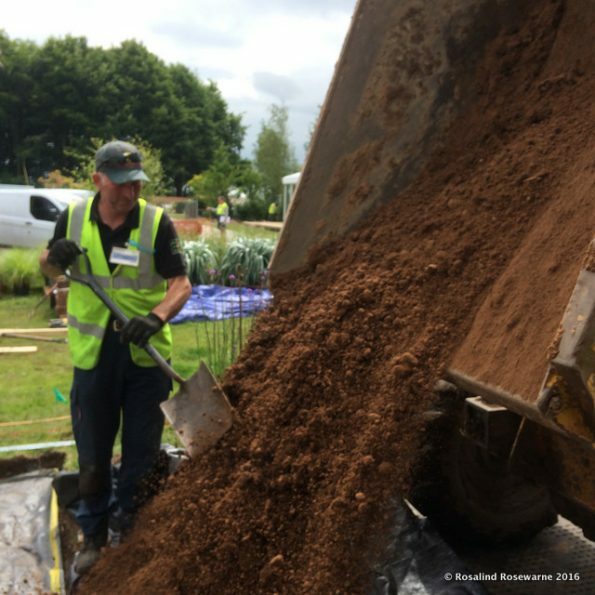 All the show gardeners, contractors, RHS teams and suppliers gave unstintingly. Lucky US.